10 Most Scenic Flea Markets to Visit Before You Die 5 out of 5 based on 4 ratings. 4 user reviews. 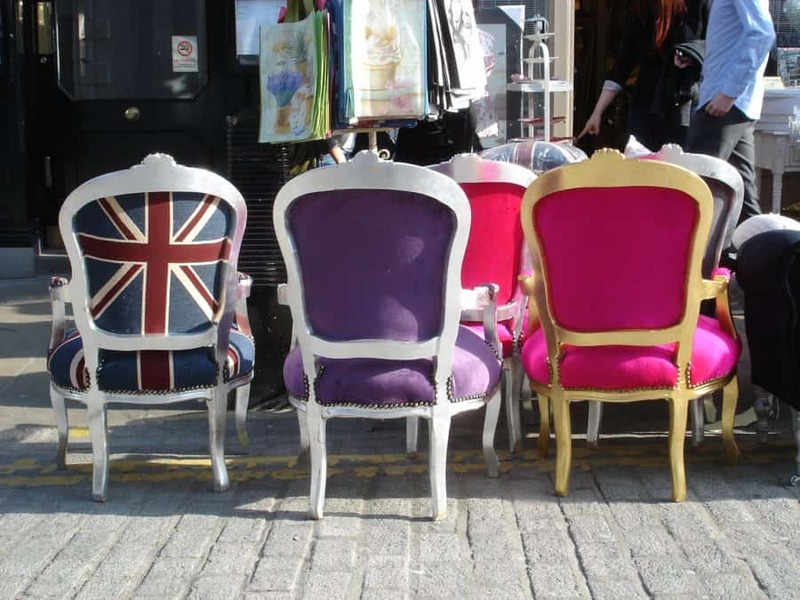 To make your life easier, we put together a shortlist of must-visit flea markets from around the world that are not to be missed in your next travels. These particular flea markets were chosen for their unique scenic settings – some take place in ancient temples and medieval castles, whereas others are tucked away in picturesque little towns, or simply boast an awe-inspiring sight. And even if you come back home empty-handed, a trip to any of these 10 Most Scenic Flea Markets to Visit Before You Die will be a reward in itself. In the fairytale town of Annecy, at the foothills of the French Alps, vintage enthusiasts will find Annecy Flea Market especially remarkable for its postcard-perfect lakeside location. 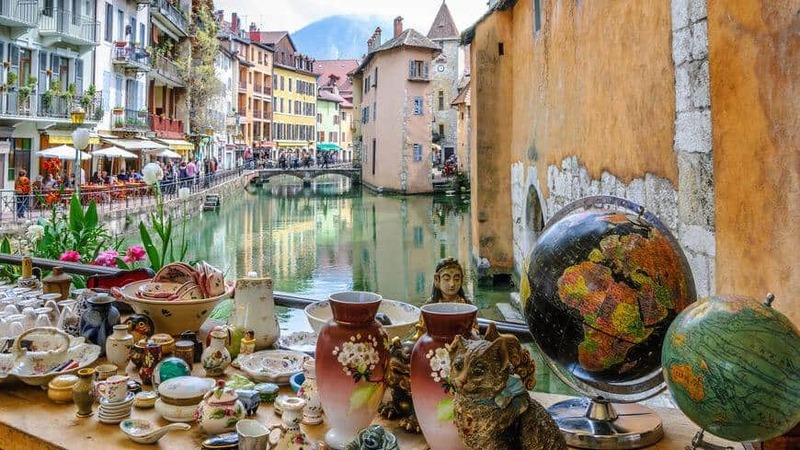 Held on the last Saturday of each month, Annecy Flea Market takes place in the enchanting historic part of town, on the edge of Lac d’Annecy, where visitors can explore vintage goodies while admiring scenic views of Thiou River. Another French winner in the scenic stakes is the Grande Brocante de Chambord. Scheduled to take place once a year on May Day, the Grande Brocante de Chambord enjoys from an absolutely unique backdrop: the Chateau de Chambord and its stunning gardens. Built with a very distinctive French Renaissance architecture, the Chateau de Chambord is one of the most recognizable castles in the world and offers a unique and majestic environment for expert antique dealers and flea market lovers. 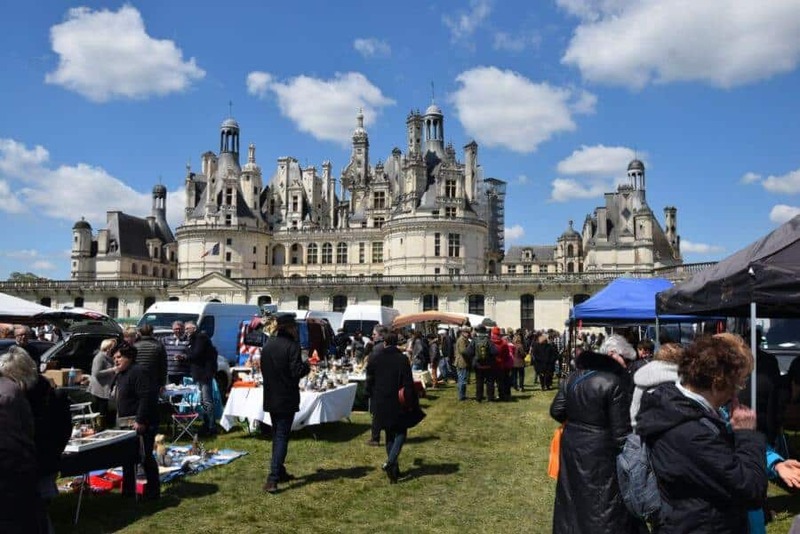 From antique furniture and paintings to kitchenware, phonographs and other knick-knacks, Grande Brocante de Chambord is definitely worth the effort of driving the nearly-200 kilometers from Paris! 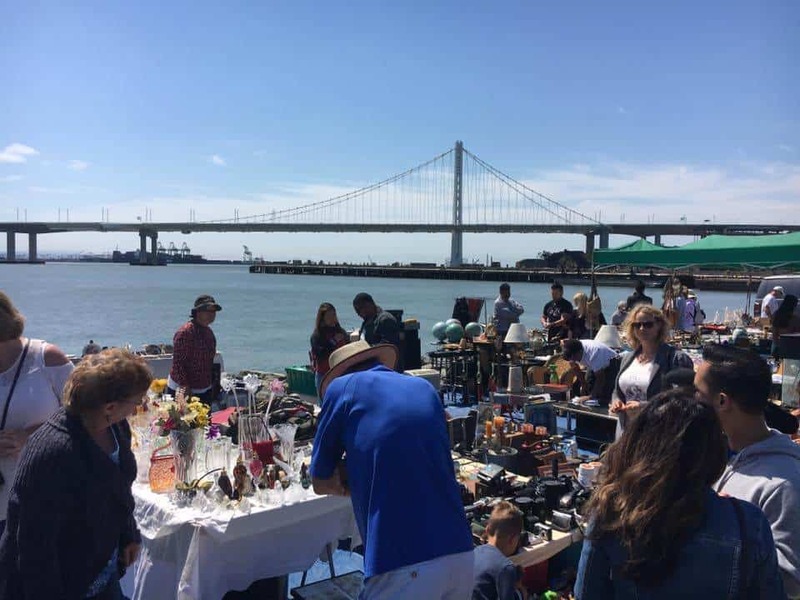 Now known as TreasureFest, Treasure Island Flea Market is a vibrant modern-day bazaar held on a monthly basis on San Francisco’s Treasure Island. Overlooking the beautiful bay waters and breathtaking city skylines, Treasure Island Flea Market offers visitors a mix of antique gems and handmade arts and crafts: find everything from vintage home décor and furniture stands to artisanal accessories and candles, while absorbing scenic views from the surrounding bay. 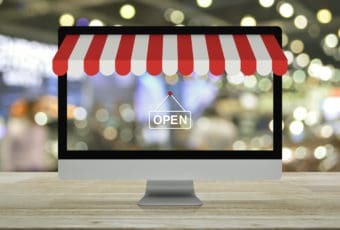 Don’t forget to head over to the many dozens of food trucks and cocktail stands after the flea market hunt! 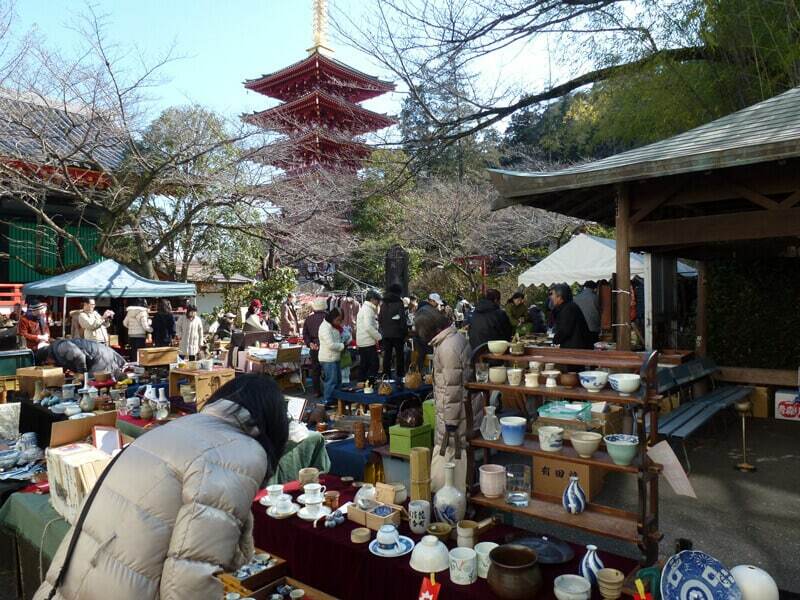 With the second-hand trend only just taking off in Japan, Takahata Fudo Gozareichi Antique Fair is one of the most popular and most scenic flea markets you will find in Tokyo. Built more than 1,100 years ago, Takahata Fudo Temple is an enchanting Buddhist temple worth a visit in itself and plays host to the monthly Takahata Fudo Gozareichi Antique Fair. On every third Sunday of the month, the atmosphere of the temple changes as its grounds become flooded with antique stalls of all kinds: other than the “usual” vintage treasures, visitors will also have the chance to bargain for beautifully-preserved kimonos and traditional décor items. Antiquariato a Piazzola sul Brenta is unquestionably the most scenic flea market in Italy. 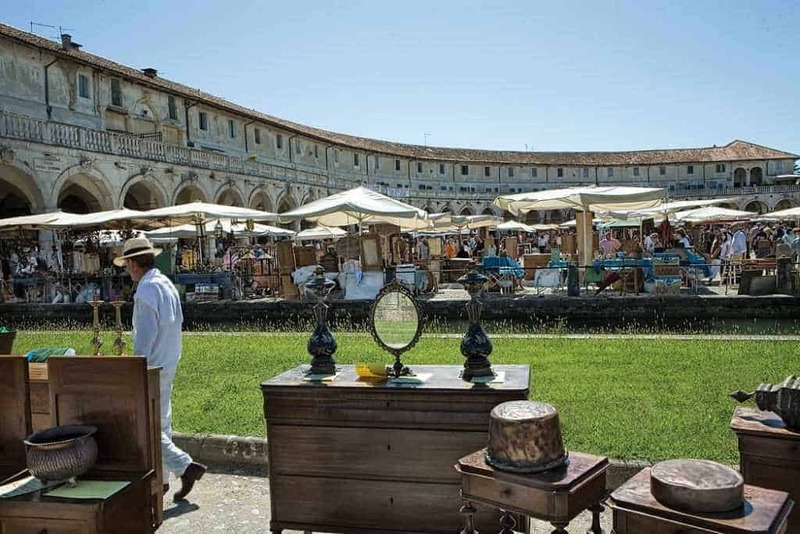 Taking place every last Sunday of the month, antique lovers and tourists alike will find this extravaganza in Piazzola sul Brenta, right in front of the elegant 1000-year old Villa Contarini. Visitors get to admire the patrician Baroque-style villa as they stroll through the + 800 stalls spilling out beyond the piazza and into the side streets, selling mostly antique collectibles such as war memorabilia, precious painting frames, rare comic editions and old toys. 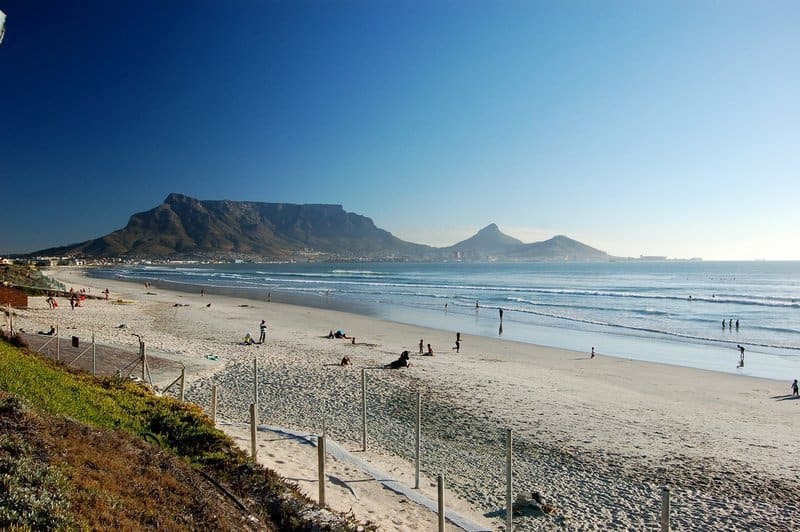 Go on a vintage hunt among the cheap and old knick-knacks at Milnerton Flea Market, a large open-air trading space that stretches along Table Bay and offers stunning views of Table Mountain. 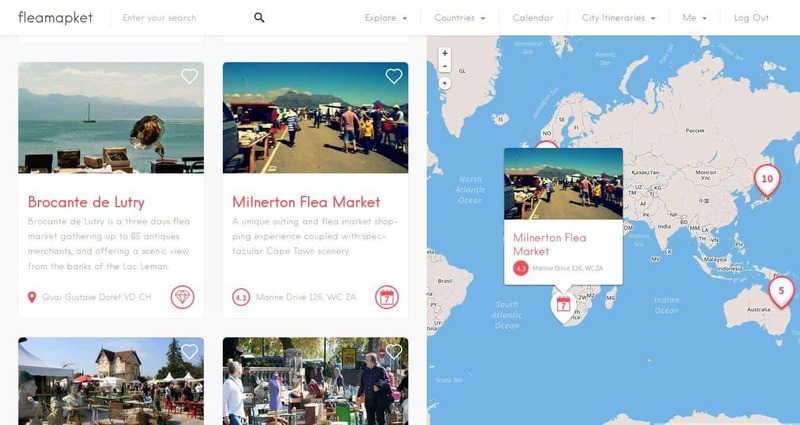 Established decades ago in Milnerton, the flea market now takes place twice a week in the nearby Paarden Eiland and is known as the city’s most famous informal fair. Expect to find quite some odds and ends at Milnerton Flea Market, but don’t give up too fast – for those willing to kneel down and dig through piles of stuff, you may just discover a rare vintage gem! 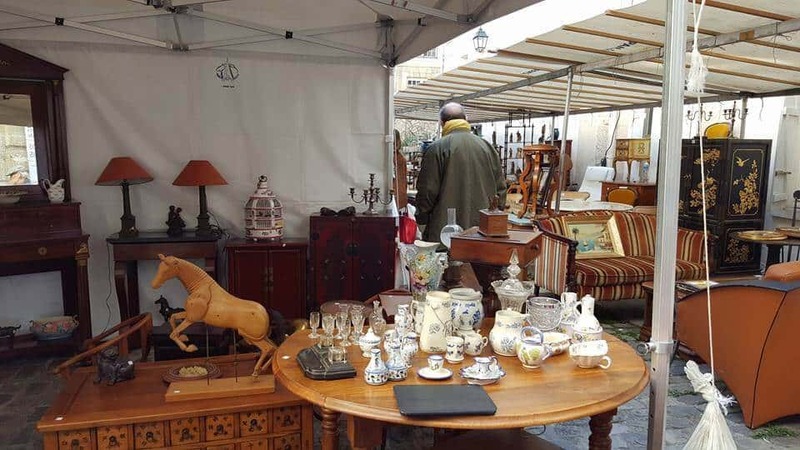 When it comes to flea markets in Europe, Foire de l’Isle-sur-la-Sorgue is definitely one of the best-kept secrets, which is surprising once you know what the village is renowned for. Tucked between Carpentras and Cavaillon, Isle-sur-la-Sorgue is a tiny charming Provençal village famous for having the world’s highest density of antique dealers and vintage shops. 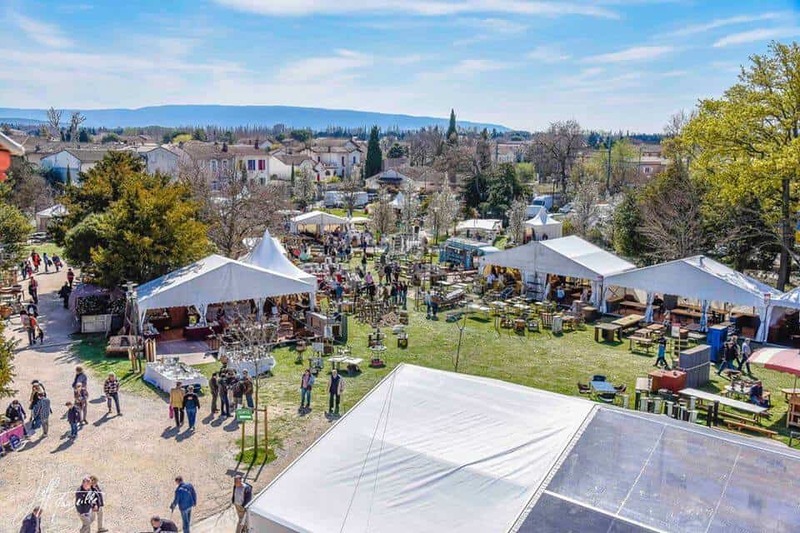 In addition to the 300 permanent antique sellers, the town hosts the Foire de l’Isle-sur-la-Sorgue twice a year, welcoming more than 100,000 vintage lovers from around the world to explore the nearly 800 stalls. Marvel at the stunning collections of ceramics, linen, furniture, kitchenware and other rare finds from the south of France. 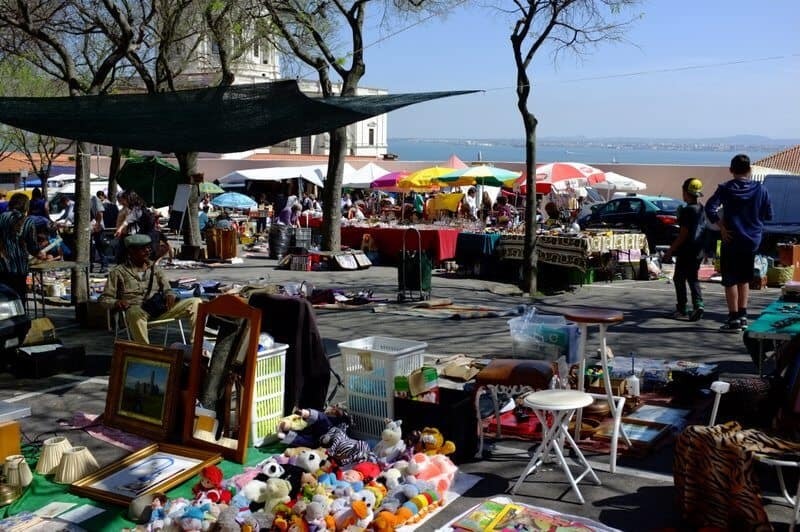 Spanning through several streets of Lisbon’s charming Alfama district, Feira da Ladra – locally known as the Thieves’ Market – is the city’s oldest flea market and a touristic attraction, especially popular because of its friendly and laid-back vibe. Opened twice a week, Feira da Ladra’s unbeatable location in the heart of Old Lisbon makes it a great spot for vintage enthusiasts to check out and can be easily combined with visits to the nearby Pãnteao Nacional and Monastery São Vicente. Although Feira da Ladra may not be the place to hit for specific antiques, it is a pleasant haven for all things curious and secondhand. Wander through the enchanting cobblestoned passageways of Le Village Saint-Paul and be pleasantly surprised by an incredible gathering of beautiful antique stores and open-air booths. Located in the busy district of Le Marais, this picture-perfect enclosed village is charmingly removed from the hustle and bustle of the city, making it the ideal escape for antique lovers to hunt at their own pace and in peace. 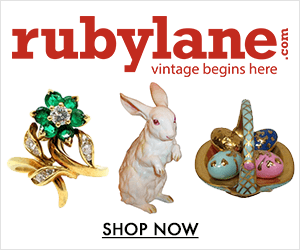 Take your time to explore the magnificent variety of antiques and collectables here, ranging from medieval trinkets and vintage café-wares to 1970s retro bargains and pop memorabilia. As the sunset comes into view, the Mindil Beach Sunset Markets come to life. Stretched along the palm tree-lined coast of the stunning Mindil Beach in Darwin, Australia, the modern-day night market takes place twice a week between April and October and is heavily focused on exotic food, offering over 60 stalls of delicious national dishes as well as vibrant live performances. 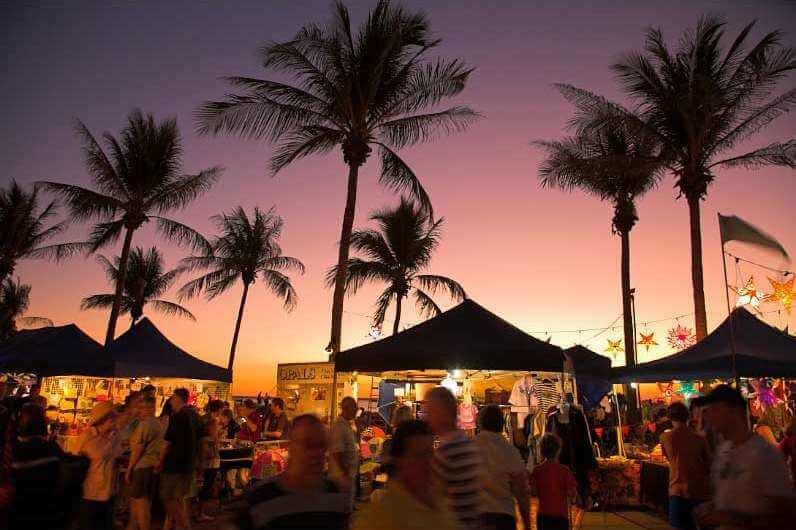 After enjoying a good meal along with the tropical sunset, visitors can get lost in the seemingly never-ending arts and craft stalls – handmade jewelry, aboriginal artworks, leather products, Eastern-style potteries… Mindil Beach Sunset Markets is the ideal place to find a unique gift for your loved ones! Bonus: The World’s Most Scenic Flea Markets on a map! 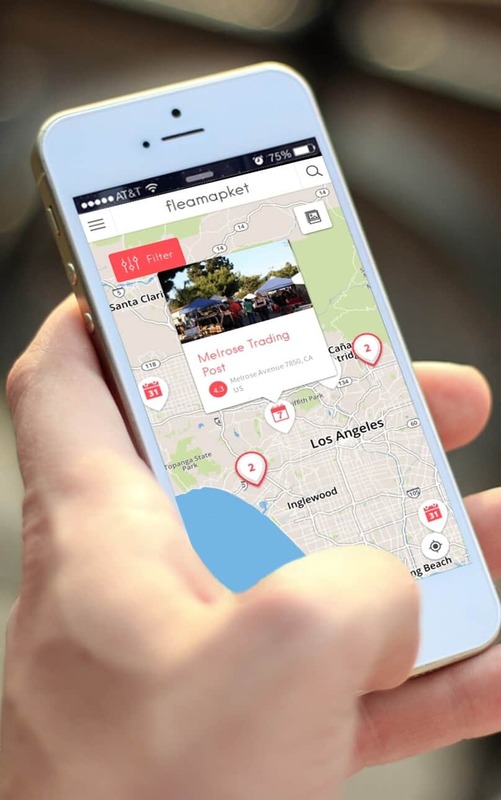 You can now visualize the World’s Most Scenic Flea Markets on a map, courtesy of Fleamapket! 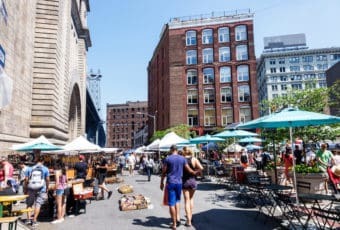 Not only have we included all the flea markets featured in this article, but we have added some of the world’s most beautiful flea markets and antique fairs to the mix. Just click on the image below to access our map feature for free.